My journey into Mediumship began not long after a loved one whom I was very close with passed away unexpectedly some years ago. Some time after his passing I became aware of his presence around me and started to experience things which I just couldn’t explain. I felt lost and confused and I needed some guidance. I decided to visit a Medium myself because I needed to understand what it was I was experiencing and why his Spirit was trying to contact me. That very first reading gave me the answers I was looking for, but it also raised a sense of curiosity within me – there was an underlying thought I just couldn’t shift; that I wanted to learn more and felt drawn to this like a magnet. Soon after that first reading I found a Spiritualist Church and decided to join their Development Circle to further my understanding and attune my connection with Spirit. I learnt how to identify and connect with my Spirit Guides through the power of meditation, and I quickly became aware of my main Guide, Yellow Wolf. Yellow Wolf was a Native American Indian whose story I’ve researched with the information I’ve received from him through Meditation and Readings. I was astounded to discover that he was indeed a real person and even had a book written about him (Yellow Wolf, His Own Story). Our spiritual connection is very strong and working with this guide became a natural and daily occurrence. It’s this connection with Yellow Wolf that has allowed me to develop and work as a Medium – and for that I thank him everyday. Over time I strengthened and attuned my connection with Spirit and through my Development Circles I began to receive invitations to give readings at various Spiritualist Churches. I was both excited and nervous by these offers, but my readings went so well that I soon became quite well-known as a regular medium at many of those Churches, at which I sat for about 15 years. Through my work at those Spiritualist Churches, my private readings soon began. As the years went by my abilities progressed further and I felt an overwhelming desire to give back and help those who were in a position where I once was – I then began helping others to become Mediums themselves. Hosting a number of Development Circles I’ve guided individuals into becoming aware of, and attuned to their own spiritual abilities. These circles have given me a great sense of pleasure and satisfaction through watching others grow in mind, body and soul. I have continued to work as a Medium for well over 20 years now and it still amazes me, it always will. It’s truly an awe-inspiring and powerful gift that I’ve been blessed with, but the greatest sense of satisfaction comes in the form of the feedback I receive from my sitters. People come to me for many reasons, but typically they want to hear from loved ones who have left the Earth Plane and passed over to spirit. Others come for Spiritual Guidance – yearning to understand sensations and experiences they may have witnessed throughout their lives. I also have those coming to me whom seek advice and / or guidance with their Earthly lives; whether that’s about their career at work, their relationships or evidence about the outcome of events going on in their lives. One to one readings are held in a comfortable setting at Lisa’s home, where you will be greeted and made to feel at home by Lisa. A pen and paper will be provided giving you the opportunity to take notes during the reading. 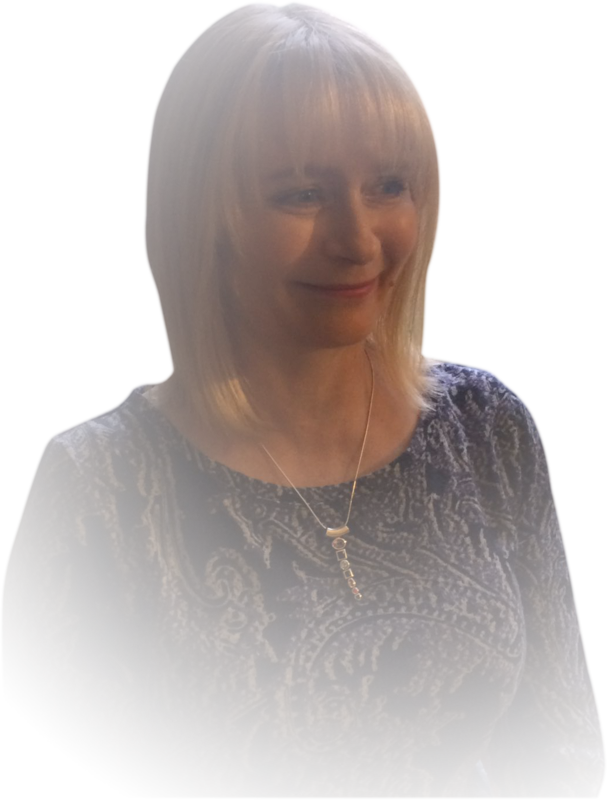 Throughout the reading Lisa will present you with messages whilst working with her guides whom are communicating with the Spirit that is connected to you. Typical responses to her messages should be “Yes”, “No” or “I don’t understand”. You should come to the reading with a relaxed and open mind, Lisa and her Guides aim to address all of your needs. The messages you do receive will be personal to you and your current situation. If you receive a message which doesn’t resonate with you, make a note of it as it might become more apparent naturally over time, as Spirit give evidence of things coming as well as what is happening in your life now. Group sessions or party bookings are offered by Lisa in the privacy of your home. Many people enjoy a small gathering where they can get together with friends or family. Ideally Lisa would need access to a quiet room where she can see individuals seperately on a one to one basis. This is necessary to enable Lisa to communicate with Spirit respective to each sitter, thus preventing the wrong messages being relayed to the wrong person – this is particularly important if group members are closely related. Group sessions are great for those who may be nervous, upset through bereavement or just unsure about what to expect. It also gives individuals the chance to relax and concentrate on their readings whilst being supported by family and friends. Spirit recognises no boundaries when it comes to distance, therefore Lisa is able to connect with her guides and offer you a personal reading via Skype. Just like a one to one session in person, you’ll be made to feel comfortable and relaxed prior to your reading. Have a pen and some paper handy so that you can take notes during the reading. Ideally you should be seated in a warm and comfortable setting away from any distractions or background noises, this will make it easier for Lisa to connect with the Spirit that is trying to communicate with you. As with all readings, the Spirit will address according to your needs and highest good. Skype readings are a perfect choice for those that cannot get out of the house or live at a distance. Had a reading with Lisa yesterday, and was absolutely amazed at the accuracy detailed and named individuals that came through via the reading. I did not disclose any information to her at all, and she gave a very meaningful, comforting and accurate reading. I highly recommend Lisa, she is one of the best mediums in London and the South East, and a highly compassionate, caring person. I have see LIsa Redfern a few times and every time she has been spot on in her readings. Highly recommend her. I will not be going to anyone else. I’ve been to see Lisa a few times now and every reading I’ve had is simply remarkable. You quickly feel at ease with Lisa and any sense of apprehension or uncertainty disappears the moment you sit down with her. The connection Lisa has with her guides is extraordinary and the messages I’ve received during my sittings with her are incredibly accurate and meaningful to me. I always leave a reading feeling light, relieved, but more so amazed by the clarity and relevance of the messages I received. If you’re looking for a medium and are considering having a reading, then I highly recommend you give Lisa a call and arrange a booking. I had my first reading with Lisa last night and what can I say, she absolutely blew me away. From the very beginning she picked up things and every name she mentioned was a close family member. I didn’t tell her this but when I booked my appointment over the telephone I gave a different name so that there would be no way of her finding any information out however she still picked everything up. This lady is truly gifted and a wonderful human being. I have already booked in for my next reading with her as the validations she gave me there is no way anybody could have known. Thank you Lisa for giving me the comfort of being able to speak with my loved one. One to one sessions are available with Lisa throughout the week. Lisa offers flexible hours and will always find a time that suits you. Bookings can be made in advanced over the phone and readings last between 45 minutes to one hour. One to one readings cost £45 and payment should be made in cash after your session. Group sessions for up to 6 people are available with Lisa throughout the week. Bookings can be made in advanced over the phone and readings last between 30 minutes per person. Group readings cost £35 per person and payment should be made in cash after your session. *Group bookings are only available to those within a 15 miles radius of Uxbridge, West London. One to one Skype sessions are available with Lisa throughout the week. Lisa offers flexible hours and will always find a time that suits you. Bookings can be made in advanced over the phone and readings last 45 minutes. Skype readings cost £45 and payment is collected in advanced via Paypal upon reading the full terms and conditions page. Prior to making a booking, please ensure you’ve read the terms and conditions page. With regret telephone readings are not available.